A new arrival to the UK, Alvarez Gomez is one of Spain’s oldest and most famous perfumers and cosmetics manufacturers, being a family owned business celebrating 100 years this year. They have just made their range available right here in the UK and I was lucky enough to be able to try a selection of their products. This is the basis of the entire brand really, a beautiful and traditional blend of Lemon, Eucalyptus, Geranium and Spanish Lavender as well as Rosemary, Thyme, English Lavender and Bergamot. 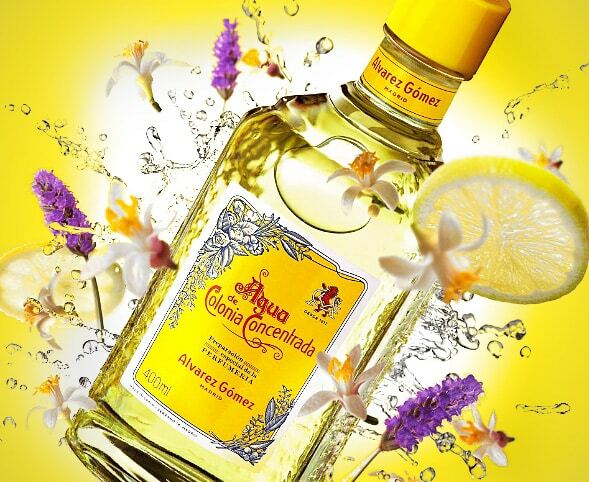 It’s similar to the likes of Acqua di Parma and 4711, but a little deeper and muskier, very traditionally Spanish. I imagine it’s the cologne Vicente del Bosque might wear. Spain has an amazing history of colognes and even have a vast selection of baby colognes, available in the most enormous bottles you’ve ever seen to presumably drench your child with. If anyone has more insight into why this is so popular then please, drop me a comment, my view was maybe it’s to do with anti-bacterial properties of cologne and that the lemon, lime and bergamot fragrances act as a brilliant insect repellant as well. This is perfect for men’s skin as it’s intensely hydrating whilst being very light in consistency. It contains a whole host of moisturising ingredients as well as Aloe, meaning this will be great as a light, gentle and soothing aftersun. It sinks into the skin really easily with absolutely no sticky residue at all, leaving skin feeling smooth, soft and fragranced with Colonia. This is both a shower gel and shampoo, however I didn’t really fancy trying it in my hair just yet, but, as a shower gel, it’s fantastic. It has the same fragrance that as you begin to lather exudes with force, whilst a massive lather forms, leaving skin thoroughly cleansed. Wonderfully hard milled, once this soap gets going, it releases a great lather and fragrance, just like the shower gel. I love this as a hand soap more than a body, as it didn’t leave my body feeling quite as hydrated as the shower gel, but still cleansed and smelling just as fresh. As well as these products, there are also bath salts, candles, liquid soap and refreshing tissues etc. I suggest you check them out as the price points are really reasonable as well. This article first appeared on MANFACE written by Thom Watson. It was published on Wednesday 4th July 2012 and was last updated on Monday 3rd April 2017 at 4:18pm. It's categorised under Alvarez Gomez, Body, Citrus Fragrance, Fragrance where you'll find more related content.